Arab leaders hope to fulfill a long-held dream of creating a joint military force as they meet in Egypt this weekend. The project has been given more impetus in the wake of the Saudi-led intervention in Yemen to battle Shia Houthi rebels. Egyptian President Abdel Fattah al-Sisi told an Arab League summit in the Egyptian resort of Sharm el-Sheikh on Saturday that he is in favor of creating a united Arab force to help maintain security within the region. He also said he has accepted a proposal from the Arab foreign ministers to form the joint Arab military force. The move to create a joint Arab army comes on the backdrop of a Saudi-led coalition launching airstrikes against Houthi Shia anti-government forces in Yemen. 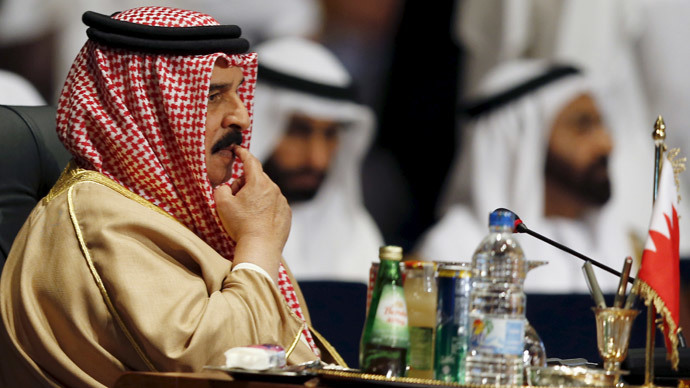 Kuwait’s Emir also spoke on Saturday in Egypt saying that the Houtis posed a threat in the region. "Rapid developments underway in Yemen pose a threat to our security," said Sheikh Sabah al-Ahmad al-Sabah, according to Reuters. Embattled Yemeni President Abd-Rabbu Mansour Hadi, who also attended the summit, said that the military operation in his country is aimed at defending the Yemeni people from an assault on their “Arab and Islamic identity” and on Yemen’s sovereignty. He praised Egypt’s leading role in the region as the “pulsing heart of Arabism” and the valve of security. On Thursday, Arab foreign ministers adopted a draft resolution on the proposed joint force, with Arab League chief Nabil Elaraby spelling out the positives of such a move. "The resolution sends a clear message that Arab nations can agree on a plan to defend themselves," Elaraby said. Egyptian Foreign Minister Sameh Shukri said the proposed force would undertake "quick and effective missions," Reuters reported. Elaraby described the decision as “historic” and Arab League ministers have asked him to coordinate with Arab armies’ chiefs of staff within the next month to try and get the united Arab force up and running. Arab League members have been discussing the possibility of creating a united military for decades after signing a mutual defense pact 65 years ago. AP revealed in November that the leaders of Egypt, Saudi Arabia, the United Arab Emirates and Kuwait had all discussed the possibility of creating a joint army to potentially deal with Islamic militants in Libya, but also the perceived threat of Iran, a non-Arab Shia powerhouse. The Saudi-led military raids, which are currently limited to airstrikes, have seen Riyadh gain support from a broad coalition of Sunni Muslim nations in targeting Shia Houthi anti-government forces in Yemen. However, despite the Saudi-led coalition launching airstrikes, the Houthis have managed to make gains in the country’s south and east, as they try to capture the port city of Aden. Meanwhile, Iranian Foreign Minister Mohammad Javad Zarif said that military operations against Yemen would only lead to further destabilization of the region. Syria and Iraq, both of whom have strong links to Tehran, have reservations about the creation of a joint Arab military force. Most nations in the Arab League follow the Sunni branch of Islam, while Iraq and Syria are ruled by Shiite-led governments. John McCarthy, president of the Australian Institute for International Affairs, said Saudi Arabia was using the current situation in Yemen to play on fears within Sunni Gulf nations that Iran could be spreading its influence across the region. “Saudi Arabia is looking at Iran's advances in Iraq and I think they are finding themselves squeezed by a country that they regard as their chief rival for regional dominance,” McCarthy told Reuters. While Saudi Arabia has been a reluctant partner of the US-led coalition against Islamic State and has been accused of indirectly supporting Islamic militants, Riyadh wasted little time in forming a Sunni-dominated force to strike Shiite Houthi forces in Yemen. Jang Fi-Hyang, a Middle East expert at the Asian Institute for Policy Studies in Seoul, believes Saudi Arabia is looking to increase its military presence in the region due to a small thawing in relations between Iran and the US. “Saudi Arabia is disgruntled with nuclear talks between Iran and the United States that appear to be progressing. But Iran isn't likely to respond to the Saudi operation in Yemen, because they don't want to be a troublemaker by getting involved in conflicts while a nuclear deal is pending," Jang told Reuters. Oraib al-Rentawi, head of Al-Quds Centre for Political Studies, pointed out that Iran remains top concern for Saudi Arabia, while Egypt and Jordan are more focused on combating the role of Islamic State in the region. "For the moment, IS takes second place to the threat of the expansion of Shiite power in Yemen that could alter the balance of power in the region and its geopolitics," Guidere said, according to AFP. Along with Saudi Arabia, Egypt has also been a major supporter of creating a united Arab force. Over the past year, Cairo and its allies in the Gulf have held joint war games in order to create harmony between members in the proposed force. The Egyptian military and security officials even went as far as proposing the force would be made up of 40,000 elite troops, with the force’s headquarters in either Cairo or Riyadh. 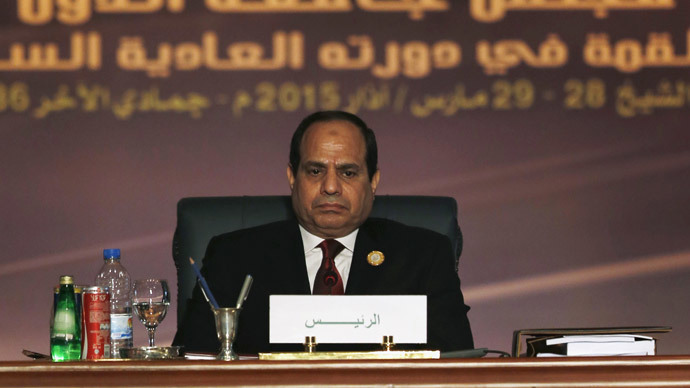 Egypt’s military-backed president, el-Sisi, has also given his full backing to the proposed joint military project. Egypt has been indebted to financial support from its Gulf neighbors, Saudi Arabia, Kuwait and the United Arab Emirates, who have poured billions of dollars into the Egyptian economy. Media reports on Thursday said that Saudi Arabia had amassed 150,000 troops near the Yemeni border, ready for a possible ground invasion against the Houthis. International intervention in Yemen is likely to result in “the rise of sectarian strife and prolonged civil unrest,” political analyst Ibrahim Alloush told RT. Casting doubt on the possibility of a ground invasion in Yemen, Alloush said that such a move would end in a “war of attrition” because of Yemen’s geographic and demographic "complexities."